How many Minifigs do you own (how many is too many)? My daughter recently built an Opera House. It had some 260 seats. I know. I had to buy them. Each of those seats was filled. And just this morning, I was re-organising my Lego-Cave (re-organising = euphemism for trying to squeeze a bit more in), and came across a few instruction manuals in the wrong place. That meant I hadn't included them last time I inventoried for insurance purposes. 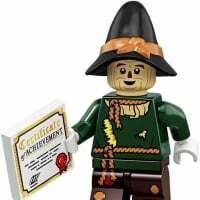 So off to BrickSet I go to update my records. Turns out I have nearing 1,400 Lego sets (nearly 900 unique), containing some 2,400 minifigs. I've never actually sat down and counted all my minifigs; and I know my insurance Lego inventory doesn't reflect all my ad-hoc and bulk part purchases over the years (from op shops, auction sites, school fairs etc), so I'd estimate that I'd have another 50% over and above my inventory. That will give me something like 3,600 minifigs! I haven't tried to collect every CMF; but have certainly bought those that appeal, and often multiples where they serve a good purpose (especially girly ones for my daughter). I'm strict about keeping certain ones with their sets - mainly the modular sets. The 'ad-hoc' second-hand ones will include mixed up variants (I'm not fussed about them being in original configs). Really cruddy ones have been sorted aside, and broken bits always get tossed (I recycle parts like heads and hand etc). Some have been 'sorted' into armies, awaiting one-day-I'll-use-them. I'm not a Star-Wars AFOL, so I don't build up Star-Wars related armies. In essence, I have four banana boxes devoted to minifigs and their accessories! So I'm curious - how does all this compare to other people? Hmmm... I have about 200-300 minifigure and already feel guilty of spending too much money on Lego (as I had to hide them all the time from my husband)... ... Why do you have "buy" 250 minifigures for your daughter when you have 2400 minigures? My figs are mostly decapitated with torsos stored by color. With hundreds of extra heads and hair pieces, it would be hard to do a count. Maybe it is easiest just to count torsos, but many of them are not much worth. So I will pass on that. Many CMF's are built and stored with others in their series, so this amounts to quite an army of little people. Some figs are stored with the sets they arrived in, so not all are in pieces. Those are the easy ones to count using the set inventory of brickset. Just a guess, but I think it would be very tedious for most of us to count figs at this point. #kekeke - I bought the seats, not the minifigs. And she only got oddments from my supplies - non of the good ones. I have 1200 unique, cataloged ones. That number doesn't include ones from my sets. i have a "sets" collection and "minifigure" collection. Lol, I only have around 100. I have roughly 300. Still working on getting a few of my Star Wars display frames up to date and also finish collecting all the older series CMFs. According to Brickset in the sets owned section it is 6550. I tried to add my extra minifigures to the separate minifigures owned, but it is very time consuming. I would estimate that I have another 2000 or so in a large bucket all built and complete but not cataloged. Insane. I'm so completely jealous of most of you guys. I've only really just started actively collecting Lego again this year, so I've only got about 120 of them. There's always 'that one part' I see in pictures that I really want. I can't wait for the day when I have thousands to choose from. #1265 out in front at 10,098. Leads me to another thought. How many have Lego ever produced? No, I don't want to account for them all - but who knows? Does the Lego MiniFig population exceed the human population? What that snippit also states, is that there are over 4Billion minifigs at that time, so perhaps that too has doubled and there are now over 8Billion? Like us mere mortals, I expect a good number of minifigs are deceased. I'm not really addicted, no way, maybe just a little fascinated by anything made out of ABS and produced by a certain company in Denmark. Nothing too serious that I can't control. Got me worried, so I checked my minifigs, they all look fine. Maybe the next modular should be a 'home for senior minifigs'...? I thought I had more, but according to brickset 685. I don't think it includes the four SDCC 2013 SH exclusives though. Not enough, that's how many! The last count I did was about 350-ish not counting keychains or 4 junior guys. But after that count I got more figures from sets or parts from online orders, but then I traded 80 with a guy for 3 small sets, a few stray parts, and about 20 or 24 figures including the 2 that came from the sets. And I have the fixings for more figures in my room but then I have another 6 in to be traded pile. So I don't know the current score. Once I can get my hands on a clicker counter though I do hope to do a current tally on minifigures. I am starting to think that i'm collecting rabbits and not minifigures. I found a clicker counter app on my tablet(temp solution since i still want a real clicker counter) so i just finished doing a current tally that doesn't include the 4junior figs, friends dolls, skeletons, or the character figures nor the loose parts or the few figures missing heads and hair or the 6 figures i have on the side for trading yet the tally was shocking to say the least. just the minifigs alone are at 561!!! That mean b4 the trade I did, that would of put me at about 616! I reckon I have maybe 1150 give or take. Saying that, I have like 7 batmans, 8 Harry potters and loads of duplicate CMFs as well so probably about 600 unique ones. The CMF's are going to be hard for me to figure out 100% I have every minifigure from the series (including Team GB) except for Mr. Gold. I have full boxes from Series 5-11 including The Lego Movie and The Simpsons. Just a quick tally and that makes 900+ in CMF's alone. Thought it was 570 but I just found another 4 figures so it's 574 not counting the 4juniors, friends, non-minifigure character figures, skeletons, keychains, or unassembled figures. Ran out of steam after the main count to do the rest. Is there a way to see what minifigs you have just by your set inventory in Brickset, or do you have to record them separately? I might work on the count tonight but i'm afraid to see the final tally. 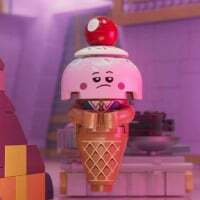 But I've got to work on getting another 6 drawer unit to expand my figure storage so i can get the things in a more confined area since I just thought of yet another minifigure I have. ARRRGHHH!!! just remember 2 more so that's 577. @augen Yes, there is and you can do both. If you want to see your minis in sets, log in first, then click on my sets tab and look down and to your right and you will see all of the figs you own in sets if you haven't entered them singly. If you want to enter the loose figs you have that are not in sets. Go to the top right of the front page and search for minifigs there and you can enter them one at a time but it takes a while depending on how many you have. Ok, settle down there. What you need to do is finish tallying up every minifigure you own. Exhaust all the possibilities of where all of your minifigures are located and then post. @oddtodd33 When I click on my sets and then minifigs that I own, I only see 16, but I have over 1000 sets. Does Brickset consider a sealed CMF bag a set? According to Brickset I have 3517 minifigures. I know that number isn't correct as I don't enter duplicate sets and I have a large number of minifigures unaffiliated with any sets. Mostly Imperial Guards and Soldiers. Without pulling them out and counting I couldn't possibly tell you what the real number was. @augen Try clicking on the "update your collection" in that area, maybe that's the problem. The white numbers just under the Minifigs Owned area should tell you how many you own most of the time. ^Are you saying that owning 500 Polybags is not as impressive as owning 500 Modulars? We will never know who has the most because most folks don't know how many they own, and even if they did, would not say so....for various reasons. That is why I just stuck with CMF's. The fact I have over 900 CMF's is enough for me. Why bother counting anymore? I say it's a wash. Much like owning 500 lbs of feathers vice 500 lbs of gold. "What difference does it make?" In response to the thread title, you can never have too many minifigures. I especially liked the idea of a modular home for deceased (or decrepit?) minifigs. Would it be a morgue or a Sanatorium for the constructionally insane? Maybe there's a place for Orphaned Minifig Placement and Adoption Services? Thanks @oldtodd33, found it. I'd just been looking in the wrong place. According to Brickset, I own 5800, although this only includes 16 loose minifigures and I know that I bought about 500 on eBay over the last few years. I reckon what with sets that I've never entered on Brickset and older Lego that I've never inventoried, I'm probably at around the 8000 mark. I always wanted to build a football stadium, so at least I know I can fill it now! Brickset says that i have 304 but I think I have more. May be closer to 350+ Some dubbel sets and minifigs from buckets of used Lego that I have not yet registred, If I get a full set out of the Lego in bucket then it wil count in.